Today I introduce you to a traditional Japanese bean side dish “Gomoku-Mame,” which is simmered beans and vegetables. This dish is never served as a main dish, but it is very popular and very important in the Japanese diet. 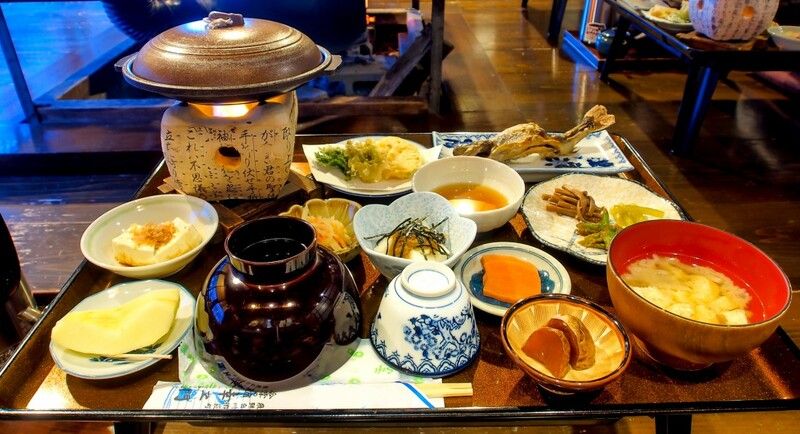 The basic rule of traditional Japanese diet is called “Ichi-jiru, San-sai.” This means basic meals should consist of one bowl of cooked rice, one kind of soup and three vegetable or fish side dishes. Of course we don’t have enough time to cook this many dishes when cooking each meal so we tend to stock simmered vegetable dishes in the refrigerator. Lately there are a lot of pre-made, reasonably fresh, store bought vegetable side dishes in Japan. This is because there are many people who are too busy to cook who, however, care about their health and don’t want to eat fast foods. Also, the Japanese diet contains many kinds of ingredients. We always think “Eat a balanced diet” which means we can have anything we want such as meat, fish, rice, bread, vegetables, seaweed and so on. But we have to be careful about the balance of the ingredients and eat in moderation. Japanese food is very healthy when we follow these rules. Put all ingredients and seasoning in a pan and simmer. 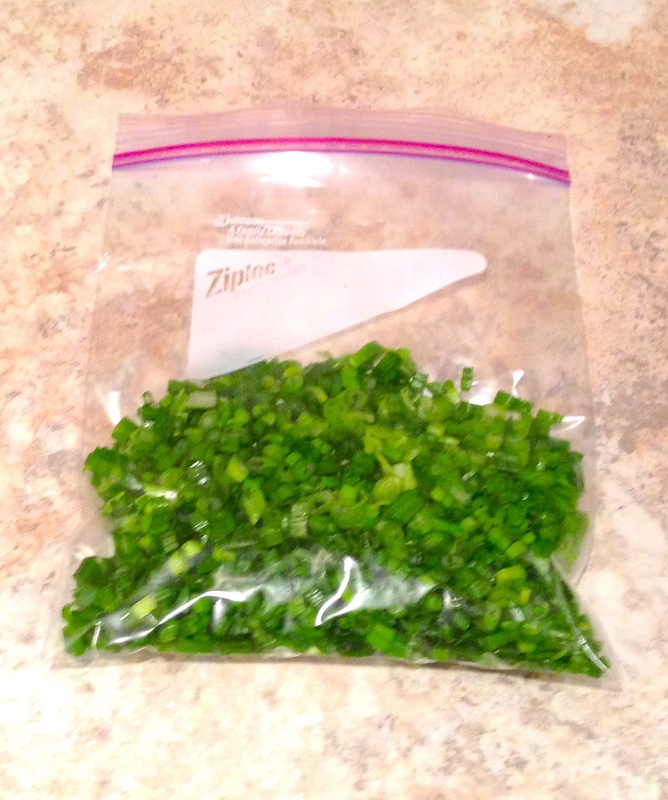 To store, transfer to a container and keep in the refrigerator. Use within 5 days. Categories: beans, side dish | Tags: beta-carotene, Carrot, Delicious, Easy, gluten free, Healthy, Homemade, Japan, Japanese food, Kelp, Low calorie, Low fat, Mineral, Nutrition, protein, recipe, Shiitake, simple, Traditional, vegan, Vegetable, Vegetarian, Vitamins | Permalink. Today I introduce you to steamed white rice with green peas. The Japanese process for cooking rice is a little complicated, so in this recipe I show you the easiest way to cook steamed rice. It takes about an hour, but you don’t need to do much. We have many kinds of seasoned-steamed rice recipes, because rice is the most important carbohydrate in the Japanese diet. Japanese rice is short-grain rice which is soft, sticky and a little bit sweet in taste. This is good for ease of digestion and also great for making Sushi rice. The “Green Pea Rice” in this recipe has a slightly salty taste and a very tender green pea texture so even kids who don’t like green peas tend to eat this rice happily. Green peas are high in protein, vitamins, minerals, fiber and so on. Green Peas also have more vitamin B1 and fiber than many vegetables. But the nutritional value can weaken under the heat so when you cook, you can add the green peas to the recipe as the last part of the cooking process. I love rice but I don’t have time to cook it for every meal so I always cook large amounts of steamed rice and freeze some of it. To store steamed rice, put cooked rice in a freezer bag and keep in the freezer. When you want to heat it up, you can microwave on a microwavable dish for 2~2:30 minutes. Please use the frozen rice within a month. Categories: Rice | Tags: carbohydrate, Delicious, Digestion, Easy, fiber, gluten free, green peas, Healthy, Homemade, Japan, Mineral, protein, recipe, short-grain rice, steamed rice, vegan, Vegetable, Vegetarian, vitamin B1, Vitamins | Permalink. 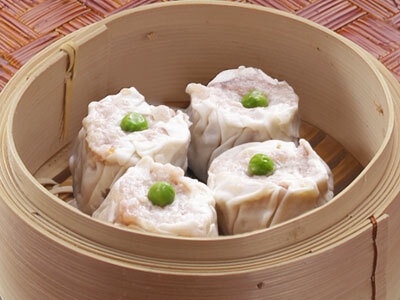 Shaomai (Chinese dumpling) is basically Chinese dim sum, which is pork meat wrapped in a skin made from flour. In my recipe I used ground chicken meat and summer rolls skin, which is made from rice starch and tapioca starch. The taste is definitely amazing, and it is healthy and gluten-free! It takes about 60 minutes to prepare and cook this recipe, but it is worth the effort because this dumpling has great quality protein and vitamins, and it is very delicious! You can have this as a main dish with rice because rice is a great match! You can get summer rolls skin at many grocery stores in the US so please try it!! Categories: Dumpling | Tags: Chicken, Delicious, Ginger, gluten free, Healthy, Homemade, Mineral, Onion, protein, recipe, rice paper, sesame oil, Shiitake, summer rolls skin, Vitamins | Permalink. This is seasoned steamed rice with salmon, egg, dried seaweed and sesame. It is very delicious and looks beautiful with a colorful presentation. Japanese eat steamed rice in at least 2 meals every day. But children tend to leave over steamed rice, which has only a slightly sweet taste, so Japanese mothers cook seasoned steamed rice to help get their children to eat a bowl of rice. This recipe is just mixing steamed rice and other ingredients, so there is no need for special equipment. Buy steamed rice at a Chinese restaurant and you can cook this at home in 30 minutes. However, recently there are many concerns about farmed salmon’s effect on human health. Salmon has worms so farmed salmon is said to become contaminated from drugs to rid salmon farms of worms. People say this has contaminated farmed salmon and may effect our health, such as immune compromise, hypometabolism, deterioration in brain function and so on. Please choose wild salmon or a good untreated farmed salmon. By the way, wild salmon can have worms so we do not eat it raw. The worms disappear when Salmon is heated to over 140F for some minutes or frozen at under -4F for 48 hours. Categories: Rice | Tags: antioxidant effects, astaxanthin, carotenoid, Delicious, DHA, DMAE, dried seaweed, Egg, EPA, gluten free, Healthy, Homemade, Mineral, Nutrition, omega-3, protein, recipe, salmon, steamed rice, vitamin Bs, vitamin D, white sesame | Permalink. Today I introduce you to the creamy salmon soup made with soy milk, bite size salmon and mushrooms. You can use regular milk instead of soy milk if you prefer. You can also use any kind of mushrooms for this recipe. Salmon is high in protein which is good for digestion and absorption. Also it is high in omega-3 fatty acids, which are docosahexaenoic acid (DHA) and eicosapentaenoic acid (EPA). DHA activates brain cells and EPA improves blood flow and reduces fat and bad cholesterol. In addition, salmon is high in minerals, vitamin Bs, and vitamin D. I can’t say strongly enough that salmon has great antioxidant effects, which are caused by astaxanthin and dimethylaminoethanol (DMAE), and this is very good for you. Salmon’s red color is carotenoid, a natural colorant which is called astaxanthin. Removing active oxygen inside the body is one of best ways to be healthy. Recently, however, we see mostly farm-raised salmon in stores and the salmon may be controlled to make their color brighter. So you should choose wild salmon if you can. Astaxanthin in salmon is not breakable under heat and also improves absorption when we eat with healthy oil so I highly recommend cooking salmon with olive oil or butter. Enjoy the healthy delicious salmon soup!! Categories: soup | Tags: antioxidant effects, astaxanthin, carotenoid, Delicious, DHA, DMAE, EPA, gluten free, Healthy, Homemade, Mineral, mushroom, Nutrition, omega-3, protein, recipe, salmon, soy milk, vitamin Bs, vitamin D | Permalink. This is not fried rice, but steamed seasoned rice. In Japan a major part of the diet is RICE. Traditionally we eat white rice with every meal. 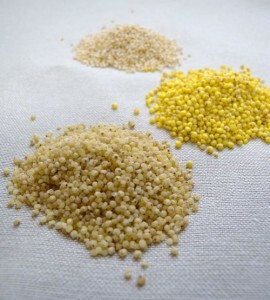 A long time ago Japanese people ate millet. Today, we sometimes mix the rice with other ingredients to make Mushroom Rice, Bamboo Shoot Rice, Chestnut Rice, Greenbean Rice and so on. These are all steamed. 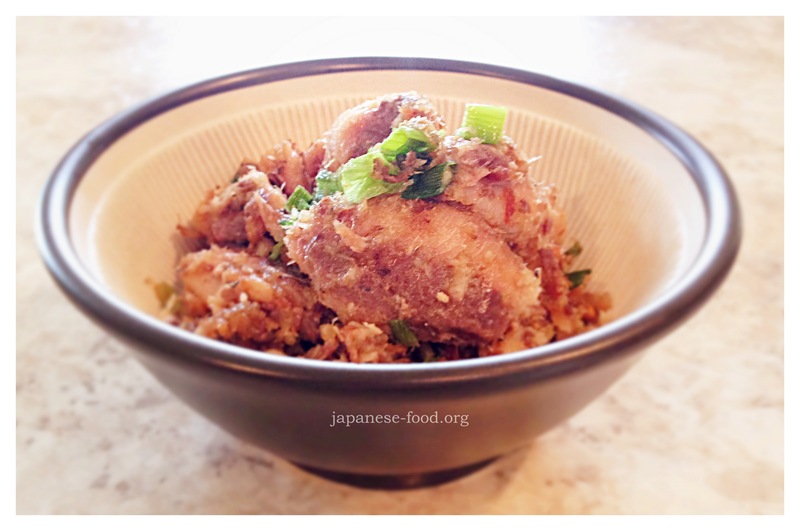 If you have a rice cooker, it is very easy to cook! 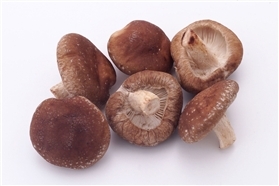 Mushroom is low calorie (about 18 kcal per 100 grams). Also high in fiber and high in minerals (especially potassium). I didn’t used dried mushrooms this time, but dried mushrooms are usually high in vitamin D. This dish is cooked in one pot or in a rice cooker so it preserves the nutritions and amazing flavor. Categories: Rice, Steamed | Tags: fiber, gluten free, Healthy, Homemade, Japan, Kelp, Low calorie, Mineral, Nutrition, potassium, recipe, Traditional, vegan, Vegetable, Vegetarian, Vitamins | Permalink.